With no foundations. In a couple of days on your site. Temporary or permanent. 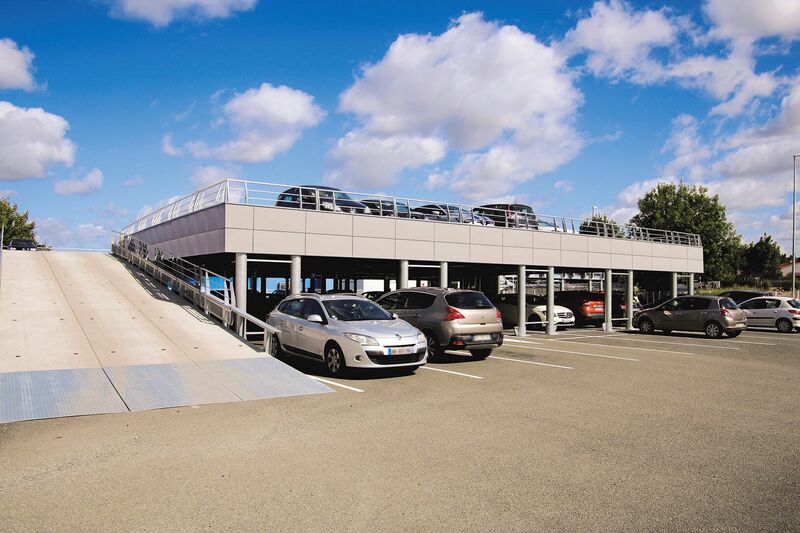 Park’Up® is a standardised, pre-built and pre-sized construction system, for the installation of multi-storey car parks without prior studies or preparatory work, in a perfectly controlled short period of time. Resulting from 4 years of R&D, Park'Up® is the only aerial car park installed without foundations or anchoring to the ground, on an existing car park. A revolution. Standardised and already built in the factory, the Park'Up® component modules are available immediately. Park'Up® is the first ready-to-install modular aerial car park. You do not experience any disturbances during installation on your site. Speed is the key word of the Park'Up® concept: 48 hours to configure and cost your project. No more endless months of studies and calculations. One week to install 100 new parking spaces or more by adjusting operational resources. Your urgent expansions of parking capacity now find a concrete and adapted solution. Park'Up® is the one and only multi-storey car park system that can be completely dismantled and reused. Park'Up® is designed to meet both temporary and permanent projects. After use, your property is returned in its original condition. Contact us: you will discover how quick and easy it is to erect a multi-storey car park. Would you prefer to be contacted? Indicate your preferred time. Discover the first fully demountable modular parking system in all its aspects.